I hope all of you are doing well now that Spring is officially knocking our door ,all of us are now ready to flaunt our best . After all “Boshonto Eshe Geche “ ,today I am going to tell you all about Divas from Tolly Town ,they are actually giving you best fashion goals . 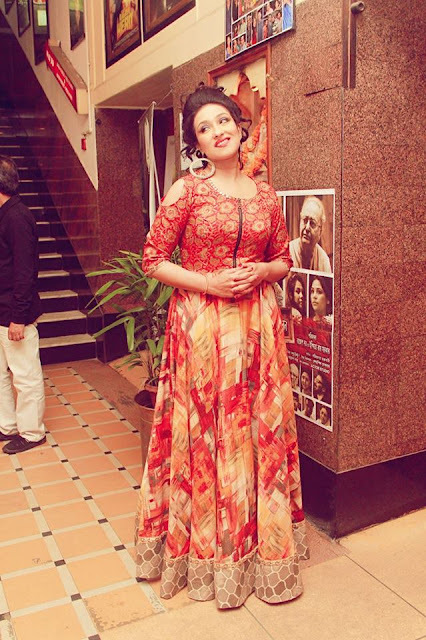 First of All I would definitely love to show you all a picture where Rituparna Sengupta is attending the premiere of her newly released movie ‘Kamala Sundari ‘.Rituparna Sengupta is one of the best dressed Diva from Tollytown whose gracefull dressing sense is giving us major fashion goals . 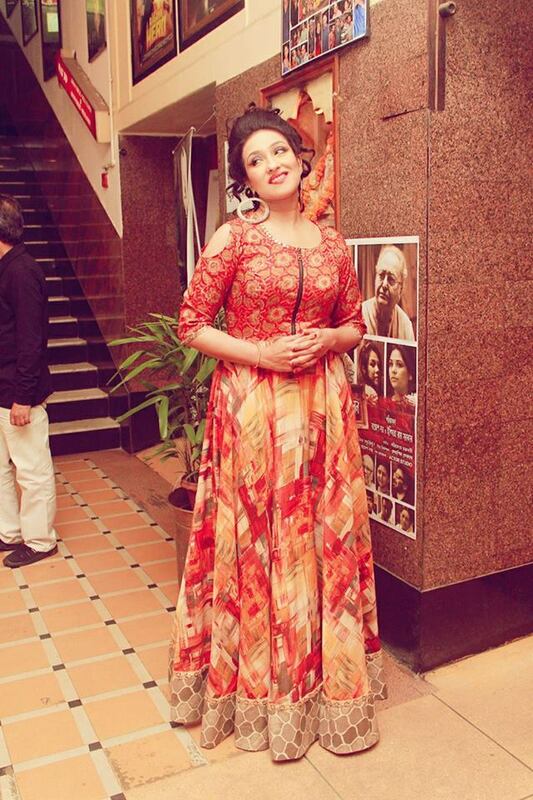 Her spring inspired Butea flower colored indo-western dress is classy and awesome indeed. Matching Lipstick with Outfit is still not old school ,rather if you know how to carry that look with grace you can truly rock . Paoli Dam’s Outfit is absolutely stunning ,the western cutting with indian emblishment is giving young girls major fashion goal . Feminine colors can bear hint of maturity , she is not sporting any peppy pink rather this matured shade is adding a classy look . This is definitely the look many early-late twenty girls are gonna copy for party’s and even 'yaar ki shaadi' . Now a classy look you can actually copy if you want to wear saree . I think saree it self is such a graceful outfit that adds ommph factor and class to every lady . Aparajita Adhya is a very very talented actress ,she is one of my favourite actress . 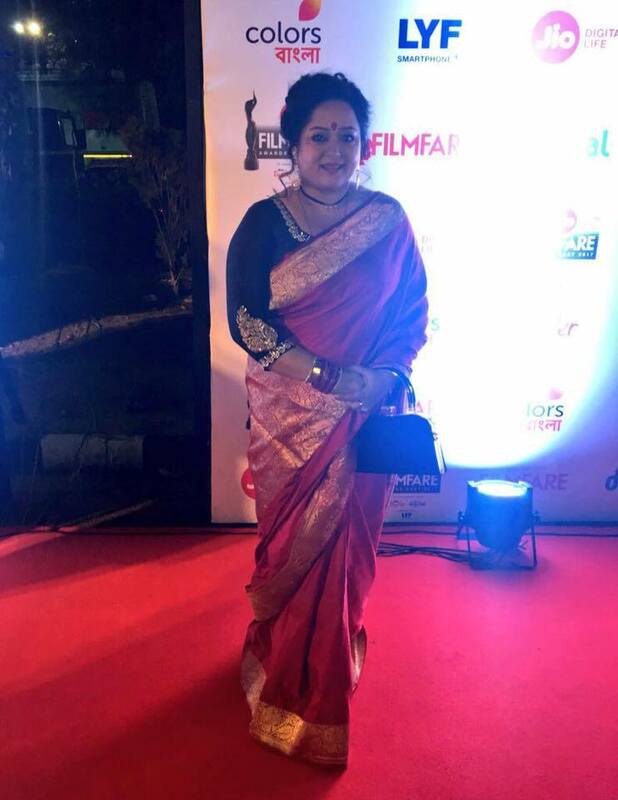 My mother loves her dressing style .She is not only an eminent face in tollywood film industry ,but also telly industry .My mother loves her dressing style . 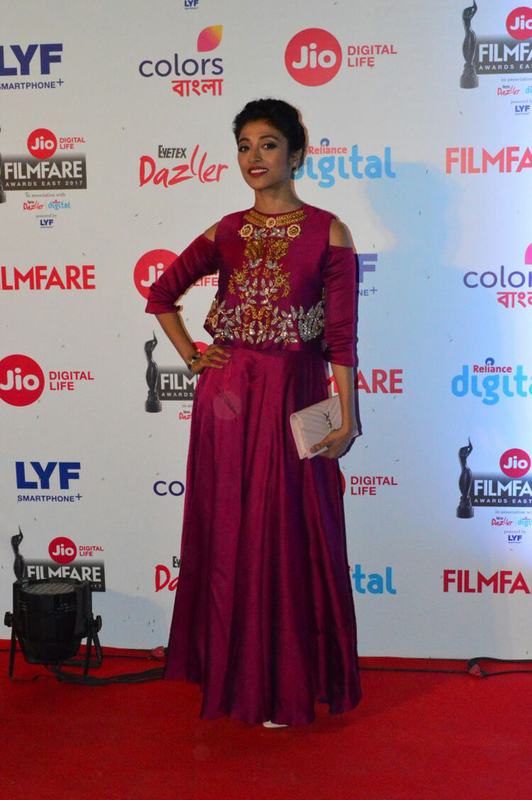 Her Red Carpet appearance in Jio Film Fare Award 2017 is giving us major fashion goal . 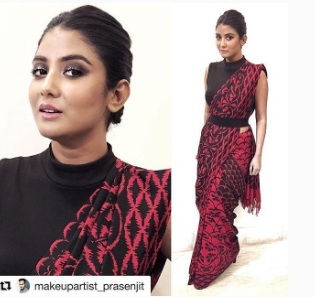 Many girls still feels that red saree is not a very urban thing ,but she has literally proven that if you know how to style it you can rock the red saree look . If any of my friend is reading this post , trust me may it’s wedding reception where may be I’ll copy this look for sure . I don’t know how to thank her stylist and makeup artist too . If you wanna stand out in the crowd ,all you need is that boldness to experiment . 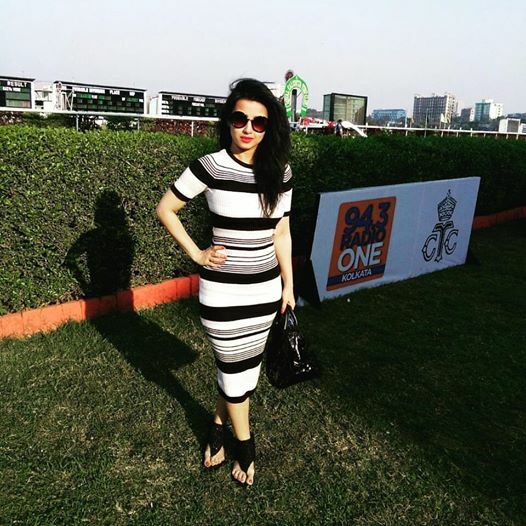 When flowery pastels , butea and all other spring shades are trending , Actress Monami Ghosh will show you how to rock Monochromes .She sports this look while attending an event at Royal Calcutta Turf Club Sponsored by 94.3 fm Radio One . Mirchi Music Award 2017 is where Parno Mitra pobably is going to give a major fashion goal to Sareenistas in the town.Parno Mitra is a brilliant actress ,who never fails to do justice to any charectrer. She is not only the brilliant actress with extraordinary acting skill ,she is one of the best dressed fashionista in the tolly town … Who thought of sporting a saree this way ? Simply slaying the saree look , she sports a graceful saree by DevRNeel creations .